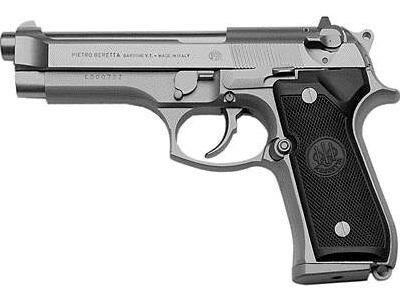 The Beretta 92FS Compact Inox with Rail is developed with the discriminating Concealed Carry Permit holder or Law Enforcement Officer in mind. Combining the best characteristics of our proven 92/96 series pistols with a compact package and adding a light rail, it allows for the utmost flexibility by mixing concealed carry handling with large frame firepower and features. A Stainless Steel Slide and Barrel, matched with a Type III Hardcoat Anodized Aluminum frame provides the utmost corrosion resistance and durability for years of use. A standard Picatinny Rail (MIL-STD- 1913) allows for an array of aftermarket accessories. A reversible magazine release button can be mounted on either side.